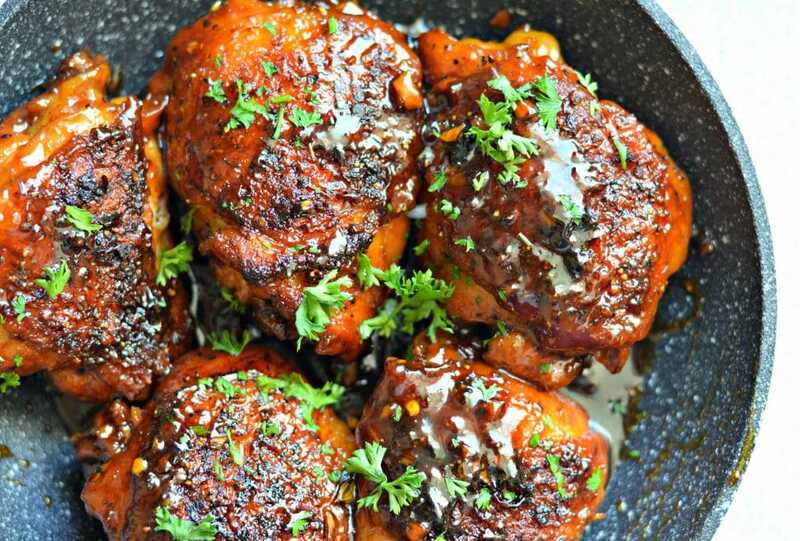 This honey molasses baked chicken recipe is sweet, savory, crispy, and delicious. Even my most picky eater loved it and asked for more. Keep reading to find out how to make it! 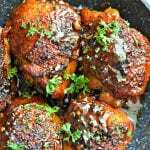 Today I am going to share with you one of our favorite recipes – honey molasses baked chicken. My kids love it and it is part of our weekly meal plan. After you try it once, you will realize why we love it so much! 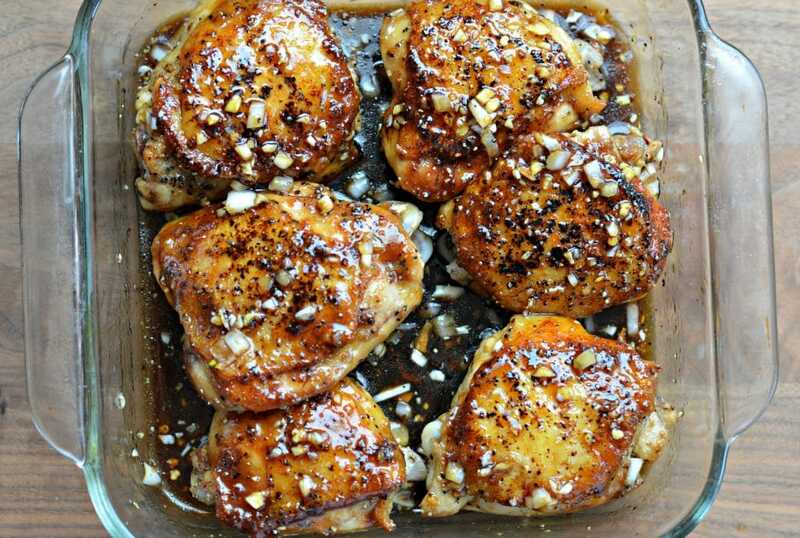 You can make this baked chicken recipe with any cut of chicken and it will turn out great, but today I decided to you thighs and I’m glad I did! The key is getting the skin nice and crispy before adding the sauce and it is irresistible. Of course the combination of fresh ginger, soy sauce, and molasses ensure that the baked chicken is full of delicious flavor. 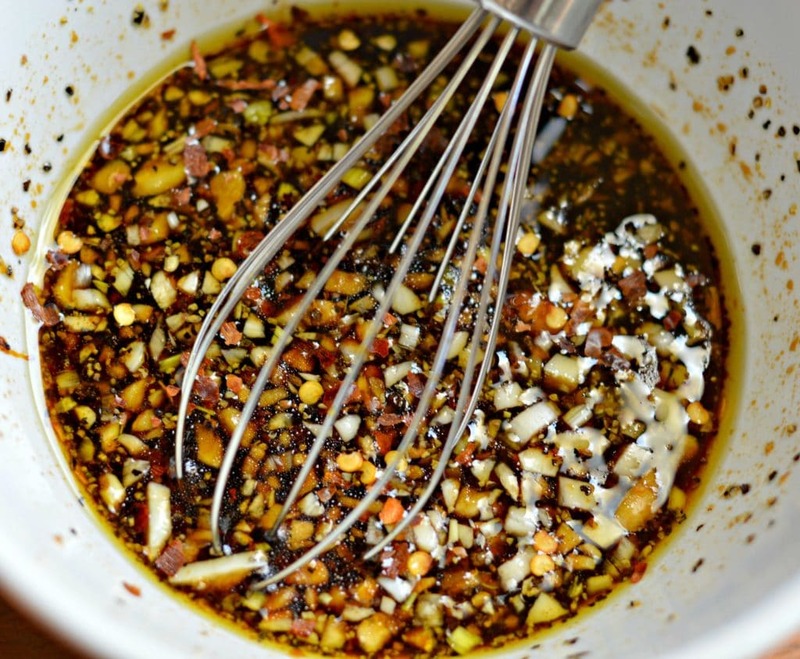 If you want to add a little bit of heat, you can add some sriracha or red chili pepper flakes to the sauce. However, if you have kids at home, you might want to skip that. We love chicken and we use it in many different recipes that we eat throughout the week. That said, it can get a little bit boring even when I make it in many different ways. I thought that maybe this honey molasses baked chicken would be too boring for my family too, but that definitely wasn’t the case! My whole family loved it and everyone was already asking when we can have it again. 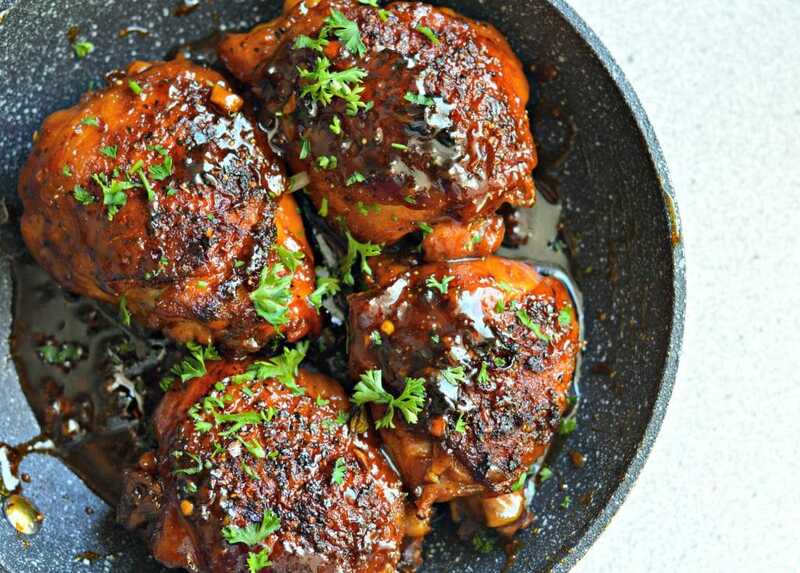 It is so easy to make and I really recommend using chicken thighs – they are juicy, tender and full of flavor. As an added bonus, it is a cheaper cut of chicken so it can save you some money as well. 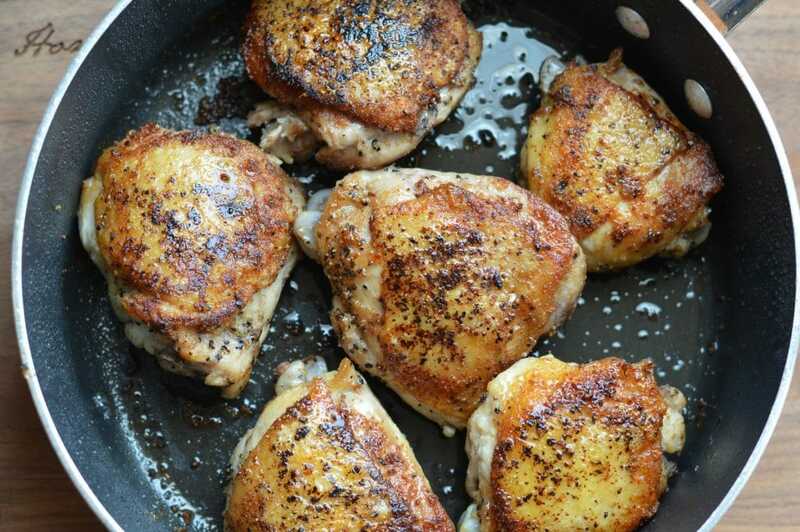 To make sure you get that delicious, extra crispy skin, you should start by seasoning the chicken thighs with fresh garlic, salt, pepper, and ground cumin (to give it that extra punch of flavor). In Mexico, the secret to the delicious food that you can find there is using a wide variety of delicious, fresh spices. Not only does it taste great, but nothing beats the delicious aroma that comes from the kitchen when you use these spices. After seasoning the chicken, you will want to sear it on the stove until the skin is nice and crispy – trust me, this is very important so that this recipe turns out perfectly! The final touch comes by reducing the honey molasses sauce in the oven. This last step results in a tender chicken thigh, infused with all of the flavors from the sauce, making it nice and juicy. I am not kidding when I say that this baked chicken is going to be one of your favorites – it is that good! You can serve it with our favorite Armenian rice recipe, or with any other delicious side dish. After you try this, make sure you come back and let me know how it turned out. Check out these other delicious recipes featuring chicken. 1 Tablespoon of fresh ginger peeled and finely chopped. Oh my goodness this was so tasty. Thanks for this awesome recipe my family loved it! So so yummy.